The Pakistan Cricket Board (PCB) said Friday that it had responded to the legal notice sent by former chairman PCB, Najam Sethi. 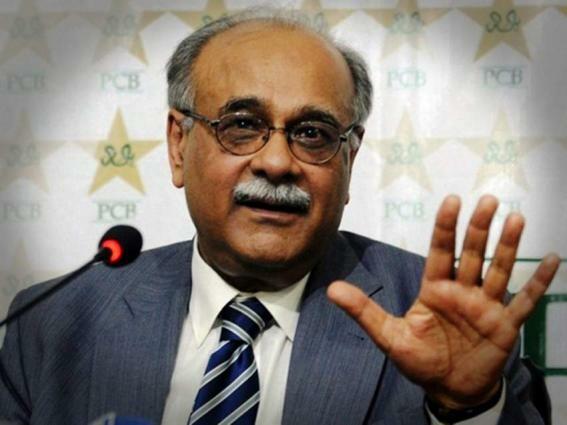 PCB Responds To Legal Notice Of Najam Sethi Zeeshan Mehtab 5 minutes ago Fri 09th November 2018 | 08:56 PM The Pakistan Cricket Board (PCB) said Friday that it had responded to the legal notice sent by former chairman PCB, Najam Sethi. LAHORE, (UrduPoint / Pakistan Point News, app – 9th Nov, 2018 ) :The Pakistan cricket Board (PCB) said Friday that it had responded to the legal notice sent by former chairman PCB, Najam Sethi. “In response to the legal notice, all the allegations have been categorically dismissed,” said a spokesman for the PCB here. He said the PCB reserves all its rights in the matter.